A new drug to reduce alcoholism is about to release soon to save millions of people to quit consuming alcohol. According to World Health Organization (WHO), 6% of total deaths are due to harmful alcohol use that accounts for million deaths around the globe every year. 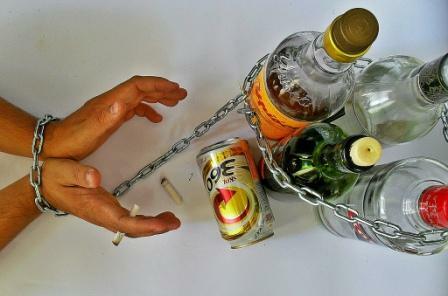 Alcoholism is such a deadly habit that most of the people wanted to quit but couldn't due to several reasons. French researchers have provided an evidence on Friday to support claims that a drug touted as a miracle cure for alcoholism actually works. The drug named baclofen shows a positive effect when given at high doses in reducing alcohol consumption over a year of treatment. Developers conducted a drug trial named Bacloville on 320 heavy drinkers aged 18 to 65 between May 2012 and June 2013. The trial compared the safety and efficaciousness of the drug given to some participants at high doses against a "dummy" pill called placebo given to some others. 57% of those who got the real drug, Bacloville stopped drinking or drank less, compared to 37 percent of those who got the dummy drug, placebo. Several trials since then have been conducted to produce some contradictory findings. Last year, Dutch researchers in a different study found the drug may work no better than counseling. The laboratory developing the drug, Ethypharm is ready to submit an application in a month for the commercialisation of baclofen for the treatment of alcoholism in France. The success in France will aid the developer to globalize the drug to reach many people in the world.